Lakshmi and I attended a workshop on NGO management, on the 6th of February. Organized by Help Your NGO, the speaker was Noshir Dadrawala of the Centre for Advancement of Philanthropy. He covered several important topics like Governance, Funding and more. It is always a pleasure to attend his sessions and there is always something new to learn! And Help Your NGO is doing a great service by organizing such events. 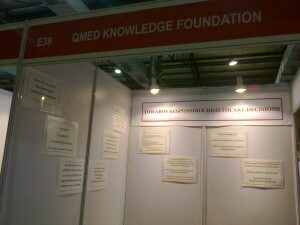 This entry was posted in 6 - Old posts and tagged NGO Management, QMed's Learning Investments. Bookmark the permalink.